Ein Teil des Vorhabens wurde aus dem Solidaritätsfonds der Hans-Böckler-Stiftung finanziert. 1986, The people cry out. Silkscreened poster produced at STP, Red. In: Images of Defiance. 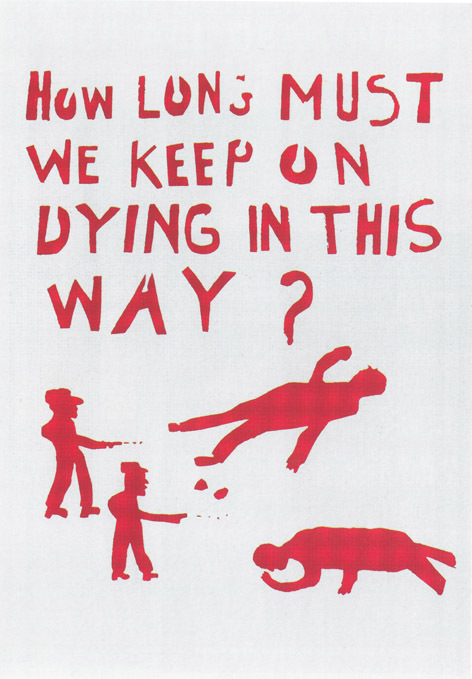 South African Resistance Posters of the 1980s. (ed. by the Posterbook Collective) STE Publishers, Johannesburg 2004. p. 149.